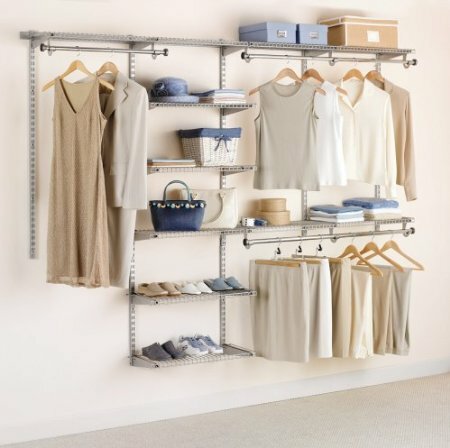 Whether it is your bedroom closet or the front foyer or even the broom closet there are ways to organize it. Check out the closet organizers below that can take that closet and not only organize it so you can find things but leave room on the floor! 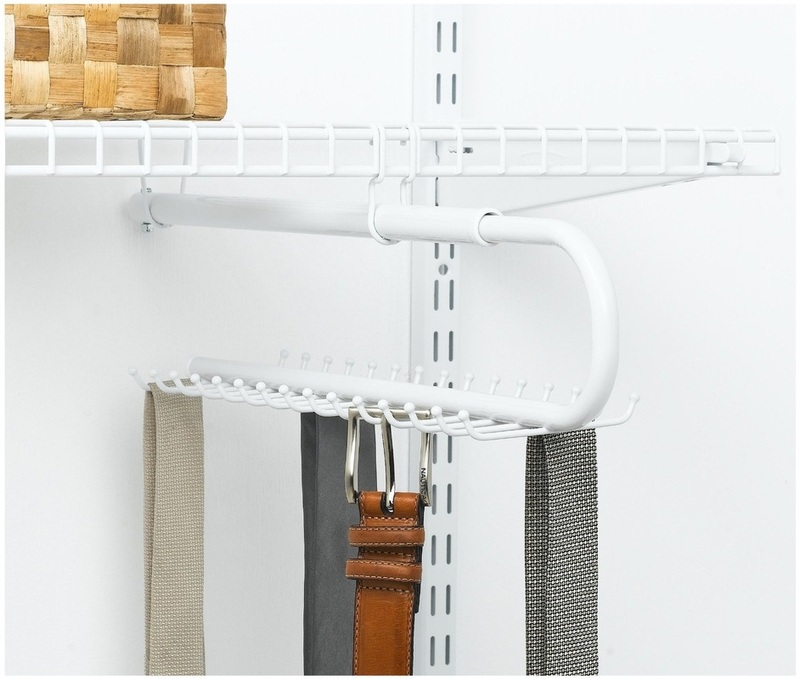 Rubbermaid is not only for plastic tubs but they also make good quality closet organizers for any room, but this one works well for your bedroom closet or on a wall. Start by cleaning out that closet using the 5 second rule (look at it for 5 seconds and make the decision whether to donate, keep or trash). Read more about that on the bedroom organizing tips page. If you are looking for more drawer space and simply do not have enough floor space for a dresser then consider these collapsable rubbermaid shelves that are sturdy enough for any of your clothes. Simply hang it in the closet and fill. You will be amazed at how much will fit in these shelves. This is a really cool system to add to your garage. 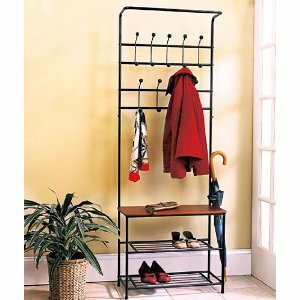 Rubbermaid closet organizers take care of everything. So if you have a drawer full of tangled belts and ties, then consider getting this system for your closet so you can find the matching accessory for your outfit while in the closet. If you have your bedroom closet figured out but the broom closet is a mess, then look at these options for getting it organized! If you dread opening the utility or broom closet for fear of getting hit by a mop then one of these closet organizers would work well for you. 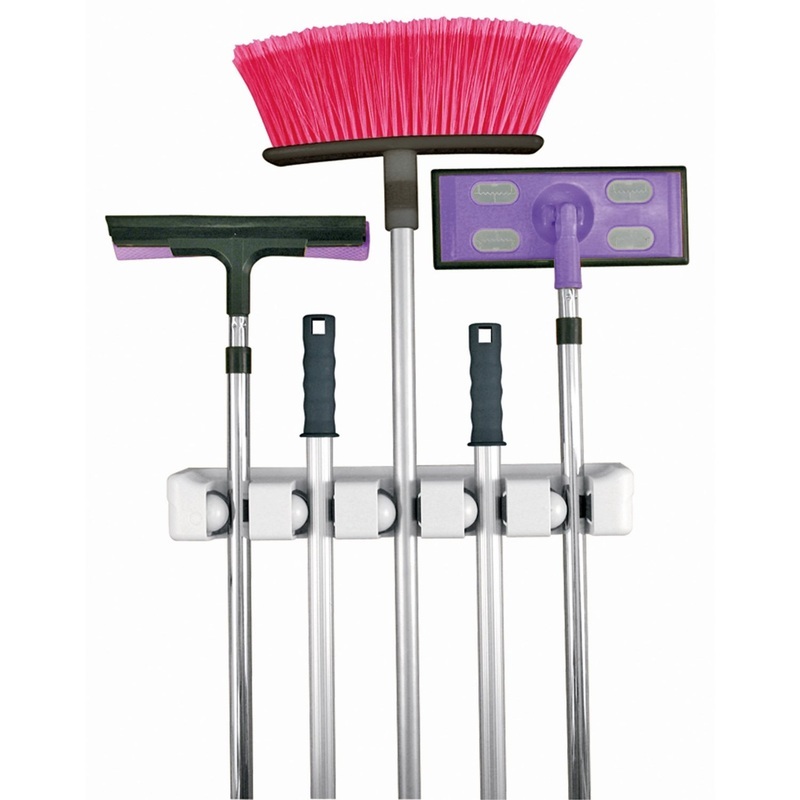 Imagine being able to open the door and get the mop you need right away. These simply screw into the wall of the closet. 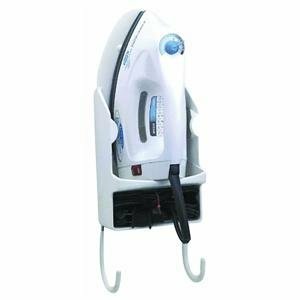 This is perfect for the iron and you can hook the ironing board on under it. You simply attach this to the wall of your utility or broom closet for easy access. If you now have your bedroom closet and broom closet organized ... what about that front foyer closet? If you own many pairs of shoes, where do you put them? It would be nice if you could have them all on display making it easier to decide which pair to wear today right? 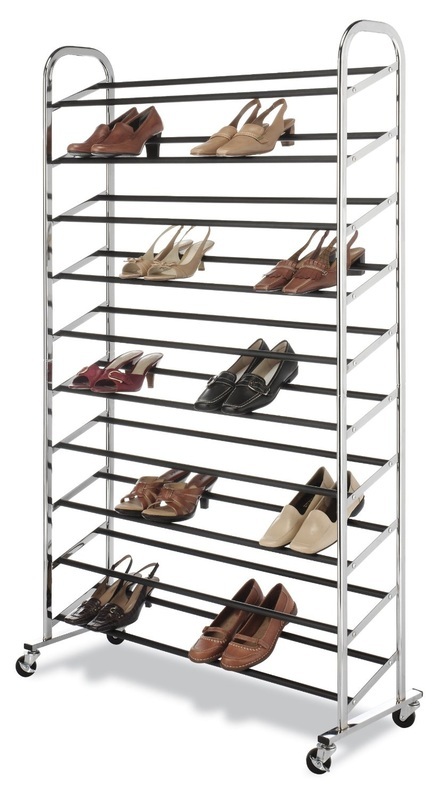 Well this shoe storage rack will house up to 50 pairs of shoes. You could keep it in the front foyer closet or in your bedroom closet or simply leave it out on display, especially if you love to look at shoes! This is the perfect system for getting your boots off the floor so they don't lose their shape. These boot organizers really do work well especially for those taller boots. 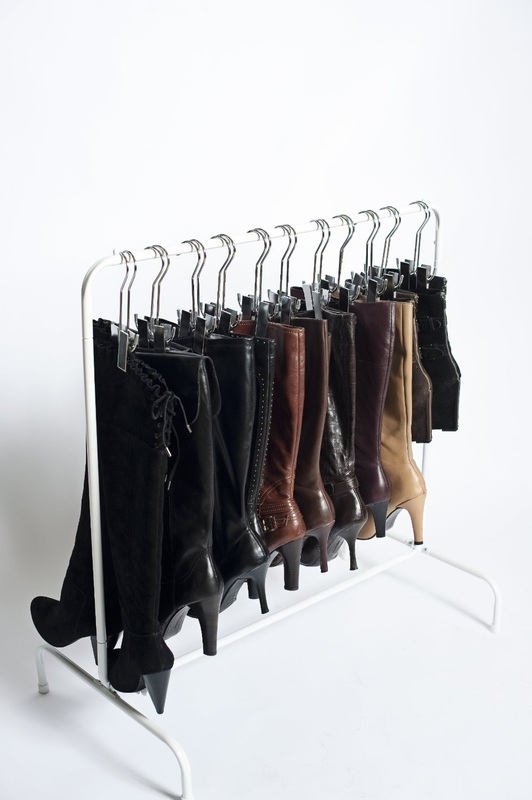 You simply use this rack in the closet and hang your boots instead of simply dumping them in the closet. Works really well for those soft leather boots, but can work for all boots and keeps the floor clean. This is the prefect storage system for the front or back door. 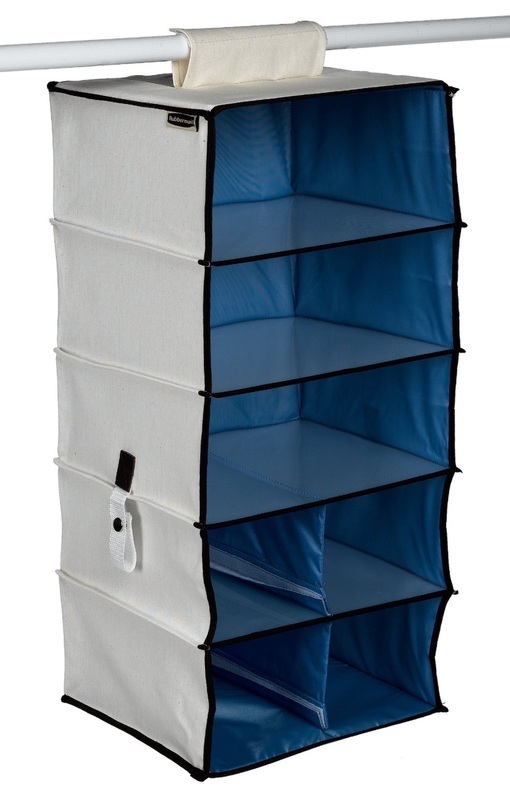 Whether you already have a closet or not, this can fit inside a closet or simply be a stand alone system. It has a bench for sitting on while you put on your shoes and lots of hooks for coats. So if you simply don't have enough storage at the entrance ways then consider a closet organizing system such as this stand alone bench and coat rack.